(CN) – California Gov. Jerry Brown’s attempt to remake liability rules as it relates to wildfires received a tepid reception in the California Legislature on Thursday. As wildfires continue to burn vast swaths of the Golden State, California lawmakers held a hearing about who should bear the costs of the increasingly catastrophic wildfires. “This will be the most discussed and most debated bill of any of the more than 2,500 bills introduced at the beginning of the year,” said state Sen. Bill Dodd, D-Napa, regarding Senate Bill 901. The bill, currently in its formative stages, deals directly with a legal concept of inverse condemnation, which in the context of wildfires means that utility companies have to bear the entirety of cost associated with a given wildfire if their infrastructure was involved, regardless of the degree of negligence. In other words, if a large fire starts because a tree branch falls on a power line, it doesn’t matter if the utility whom owns and operates the power line was in compliance with regulations, the utility is fully liable for all of the costs associated with that fire. Gov. Brown has proposed to remake that legal concept, proposing to hold utilities accountable only when fires start due to clear negligence. 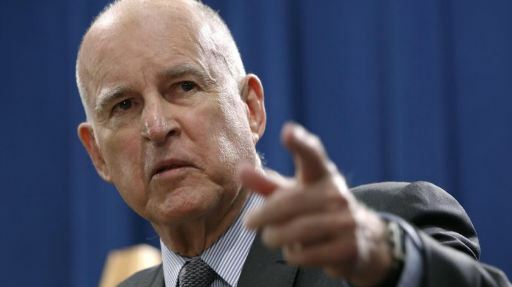 “Holding utilities liable regardless of negligence or whether they followed the laws is not in the interest of California,” said James Ralph of the California Public Utilities Commission, who was tasked with presenting the governor’s proposal to lawmakers during the hearing. But the proposal appeared to gain little traction with lawmakers, particularly those who come from the Democratic majority that dictates policy in the California statehouse. In many ways, the hearing is a response to what happened in the 2017 fire season in California, rather than the 18 wildfires currently raging throughout the state. In October last year, a series of wildfires broke out in the North Bay area in Sonoma, Lake and Napa Counties, among others. The Wine Country Fires have since been determined to be the most economically destructive in the history of California, with $10 billion worth of damage incurred over the course of three devastating weeks. This year, the California Department of Fire and Forestry found that most of the fires started were a result of high winds breaking tree limbs that came into contact with power lines, power converters or other equipment owned and maintained by Pacific Gas & Electric. As a result, PG&E remains potentially liable for a significant portion of the rebuilding costs associated with the most economically destructive fire in the state’s history. PG&E and its allies argue that such liability will damage the company, hurt investors, ratepayers and all Californians who rely on electricity to furnish their way of life and that it should only bear responsibility if the company was found to be negligent in the maintenance of its infrastructure. “Utilities should not be held responsible when the utility acted reasonable and responsibly,” said Arlen Orchard of California Municipal Utilities Association. But others held that failing to hold the utilities accountable would simply pass the cost on to taxpayers to the benefit of public utility investors. “The investor-owned utilities want a financial shift to the most vulnerable people,” said Rex Frazier, president of the Personal Insurance Federation of California. Many of those in attendance at the hearing predicted that if the state did try to remake the liability equation for wildfires, a glut of lawsuits would naturally result.